Ari is probably the most talked about neighbourhood in town, with bustling cafés, restaurants, and retail shops that are hidden in the small alleys. We invite you to explore this friendly neighbourhood of Bangkok on two wheels - and what would be a better option than tokyobike, a bike that is especially designed for urban use. Experience the new feeling of riding in Bangkok and fall in love with cycling all over again! Bicycle Rental Rates: Friendly rates for renting a bicycle in Bangkok! Rent a bicycle for the day from 9:00-18:30. Ideal for exploring the city in one full day. Rent a bicycle for 24 hours. Ideal for night rides when you can enjoy Bangkok more with lighter traffic. Ari is a charming neighbourhood teeming with small shops that are unique, creative, and detail-oriented. Each shop has a distinctive character, and from the five years that we have been here, we noticed constant changes. There is always something new! That means, even as locals, we still get excited about new additions to the area. Formerly a residential area, now Ari is becoming a unique neighbourhood in Bangkok with small businesses that include restaurants, cafés, retail shops, hotels, hostels, spas and many more. There is a nice mix of the new generation’s creative energy and the old-school style, e.g. street food vendors. Many of these shops are well-known and popular. You can spend an entire day in Ari from morning to night. The growth of Ari started from the centre of soi Ari (Phaholyotin 7). Now it covers a wider area which also includes Phaholyotin 5 to Phaholyotin 11, and even to Rama VI Rd. The shops are scattered in the small alleys - so you will find that getting around by bicycle is ideal because you can take your time to make as many stops as you wish to explore whatever interests you. There is hardly any blog that can combine all the shops in Ari, and there continues to be hidden gems in this area! Besides riding around in Ari, tokyobike would like to invite you to explore other cool areas of Bangkok, such as Charoenkrung, Old Town, Chao Praya River, etc. With a full day rental, you can see much more in Bangkok. tokyobike is especially designed for urban use. It is comfortable and easy to ride. The design also allows you to enjoy the scenery along the way with the handlebar being quite high. Our concept is comfort over speed, so you can be sure to ride comfortably through the streets of Bangkok. tokyobike is also a high quality bike which makes it an ideal vehicle for you to use in the city. Reserve in advance by contacting the tokyobike Ari shop to specify the date, duration, quantity, and other special needs. Bring an ID or passport to present to our staff and provide your contact info. Make your payment and safely take off with your rental bike. It is as simple as that! 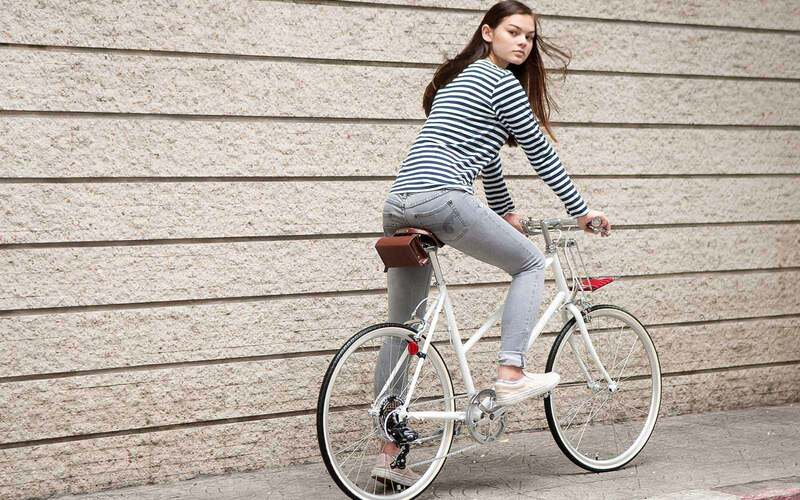 Return the bicycle in complete condition with all accessories and parts. If you plan to go further, please spare enough time to return the bicycle on time. The renter shall receive the bicycle in good condition and return the bike in good condition, as well. tokyobike rents out bicycles while making sure that all bicycles are maintained and checked properly each day prior to rental. However, the renter shall check the condition of the bicycle once more before riding. The renter may not adjust the bicycle after leaving the shop. The renter shall ride safely and shall not break any traffic rules or laws. The renter shall be responsible for taking care of the bicycle, which includes personal and others’ safety. The renter should also prevent any kind of theft from happening. The renter shall return the bicycle at the agreed time. If the return is late, tokyobike reserves the right to charge a penalty of delayed return according to the specified rate. The renter shall be responsible for tokyobike’s property, which include parts and accessories. If any damage occurs, tokyobike shall assess the value of the damage, the property and/or repair costs. The penalty rate for delayed return of a bicycle will be rounded up to the next time slot, for example, if the bicycle is rented for half day in the morning - which should be returned at 13:30 - but is actually returned at 15:30, tokyobike will also charge the rental fee for the afternoon slot. The renter shall be responsible for any incurred cost of the bicycle damage(s) or loss. This will be calculated based on actual cost and/or repair cost which may incur. tokyobike will be assessing the costs. The renter agrees to be liable for any accident, which includes costs incurred from treatment, medical charges, and any other expenses in case there is an accident. tokyobike cannot be held liable for any treatment costs incurred. We recommend that renters have a travel/ accident insurance which covers accidents from riding a bicycle.